Make healthy and yummy food! There has been a rise in recent eating trends indicating that people are opting for homemade and healthy food more often. One way to achieve this is by opting for preserved and dehydrated food as they are supposed to be healthier due to their decreased fluid content. This means that lesser bacteria = longer shelf life. Preserved fruits are also extremely tasty apart from being highly nutritious. We are here to promote healthier eating with these 7 food dehydrators for your kitchen. Whip up a batch of jerkies with little to no trouble with the Rommelsbacher Automatic Food Dehydrator. This food dehydrator features an automatic switch-off function, giving you ease of mind by not requiring you to monitor the entire process. Besides that, it also comes with a timer so you will know exactly when to expect the jerkies! Make healthy treats for your furbaby (ies) with the Food Dehydrator for homemade dry food! This dehydrator has an adjustable thermostat for your food-drying convenience. It also has 5 trays which means more treats and more puppy kisses from your paw-friend. Excalibur’s Personal Dehydrator EPD62WG is one of the few food dehydrators that do not come with a temperature control. Instead, it works at a low temperature with the help of a 7-inch fan that helps to guide airflow. Hence, the nutritional value of the food you intend to dry remains intact throughout the whole process. With all-year-round festivities, a reliable food dehydrator can do a lot to help you prepare celebratory cookies. This food dehydrator by EXCALIBUR is equipped with 9 large trays so that you’ll get more cookies and lesser hassle. It also features a timer and an adjustable thermostat to suit your baking needs. 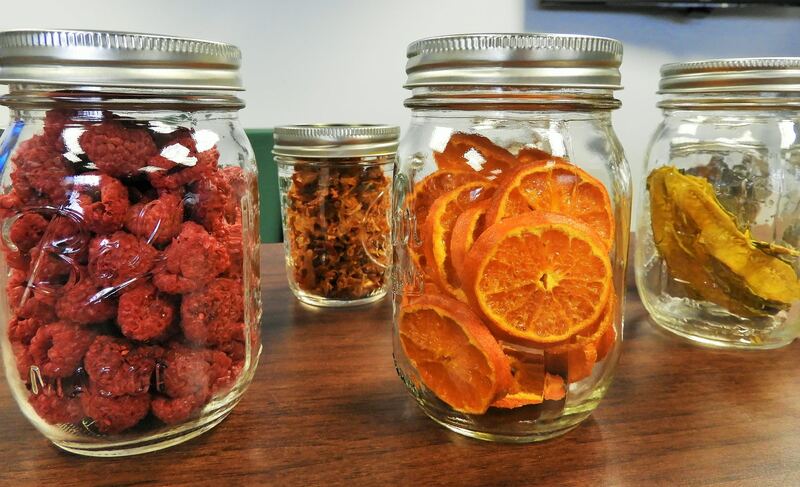 Looking for a versatile food dehydrator? This Electric Food Dryer and Dehydrator has you covered. From mushroom and cookies to filament, this machine claims to be high quality and durable. All that is required is just the touch of a button! LEQUIP is the product required to complete your kitchen at home. It features various “perks” such as a 6-level capacity, temperature control, timer and high-quality food with nutrients intact. Also, it serves the dual purpose of a food steamer too. For a professional quality food dehydrator, Lequip Korea New D5 STS Premium Food Dehydrator may be ideal. It features an adjustable hanger according to the height of your convenience, advanced air circulation system and easy slide in stainless-steel trays. It also has proven itself capable of high food drying quality through its one-of-a-kind infrared drying technology. However, you still have the option of natural drying or solar drying.